Phase I: Hermann Pavilion: A new 4,000 sf Room Service Kitchen to serve 300 Heart & Vascular Institute, Women’s and Children’s patients. Phase II: Jones Pavilion: was developed into a new 9,500-sf Kitchen to serve 500 patients using a Personal Choice Dining process. Phase III: Robertson Pavilion: renovation of four (4) existing spaces totaling 4,383 sf, on the Basement Level, to serve all of the Dietary facilities in the Hermann, Jones and Robertson Pavilions. WDG was engaged to assist in the development of a Master Plan and Program of the Food and Nutrition areas at the MHMH TMC Campus. Upon completing the F&N Master Plan in 2013, the firm was retained to plan and design a new 10,000 sf Central Production Kitchen located on Level 4 of the Hermann Pavilion 2 Tower (HP2) and a 5,400 sf multi-station Food Court with an adjacent after-hours Grab-N-Go C-Store operation located on Level 2 of the Parking Infrastructure Building of HP2. The retail dining serving spaces have minimal staging spaces (walk-in refrigeration/cart park and storage areas) to support the meals finished and served in the menu stations. 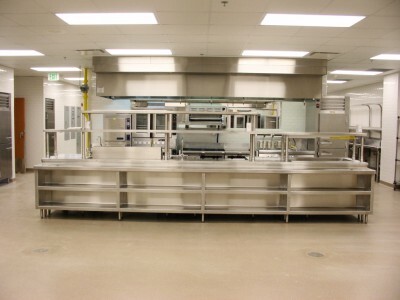 The 10,000 sf main kitchen located on Level 4 was programmed to provide meal services for patients at the HP1 and HP2 towers well as the Retail Dining on Level 2. In the future, the Level 4 main kitchen will focus in producing patient meals only and the Level 2 Retail Dining Spaces will receive their meal support from another kitchen location on campus. 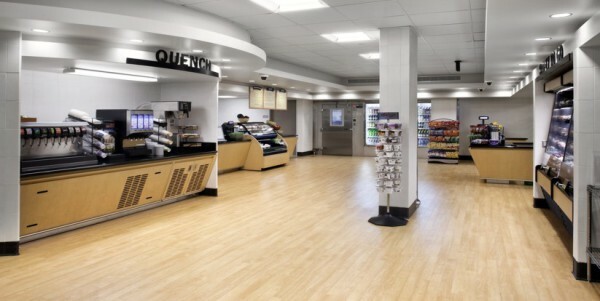 Planning and Design for the phased renovation of the hospital’s existing servery. The firm was also involved in the development of Relocation Site Options, Studies and Design Implementation Services. 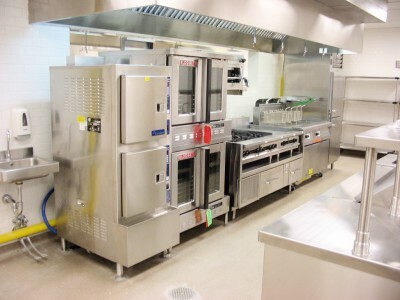 The services (totaling over 11,500 sf of dietary spaces) included the relocation of the foodservice patient tray assembly, dishwash and support areas from the Energy Services Building to the main hospital building. Programming effort to determine space requirements of the foodservice and dining areas to support a new patient tower, located across the street. The new patient tower added 110 beds to the hospital's 175 bed capacity. 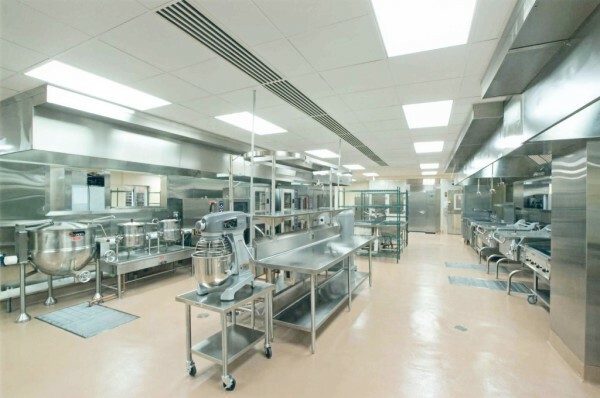 Planning and Design involved an expansion and remodel of the current central kitchen to include a dedicated patient tray assembly area, a consolidated catering preparation area and a larger scramble-style servery. 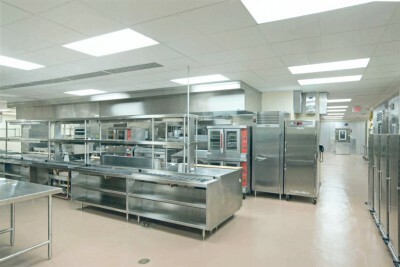 The scope of work included in-place renovation of the existing main kitchen. 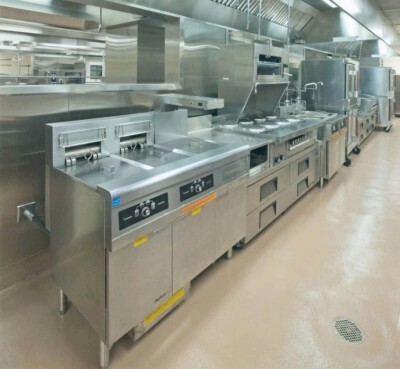 The spaces impacted included the warewash area, and a new hot-meal production/non-patient support foodservice area. The design also incorporated a state-of-the-art food court and dining area along with a cold food menu support kitchen in the new tower. The new cold food menu kitchen provides food storage and preparation to support the food court, where it can be heated as needed. The new kitchen and servery involved extremely tight space constraints, which required careful design in order to accommodate all the client’s needs. Planning and design of the foodservice areas at the Systems Services Tower which will provide on-campus meal catering preparation and employee dining services for the Memorial Hermann Healthcare System corporate employees (relocated to this site from the present Southwest Freeway location). The public areas include a 4700 sf dining area and two, 96 seat conference spaces.